With Total Eclipse Fever gripping the nation, the subject for today’s image was never in question. I knew my image would have to reflect that theme. If I had the gear — a very very long lens and solar filter — I might have attempted to photograph the actual eclipse, but I don’t. So I didn’t. 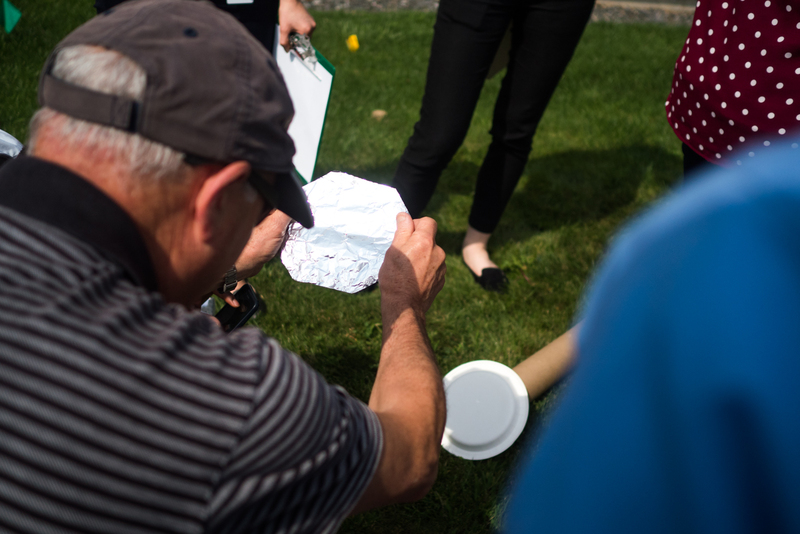 Besides, here in New England, we were viewing a partial eclipse. The images of “Totality” are way cooler than what I could do from here. 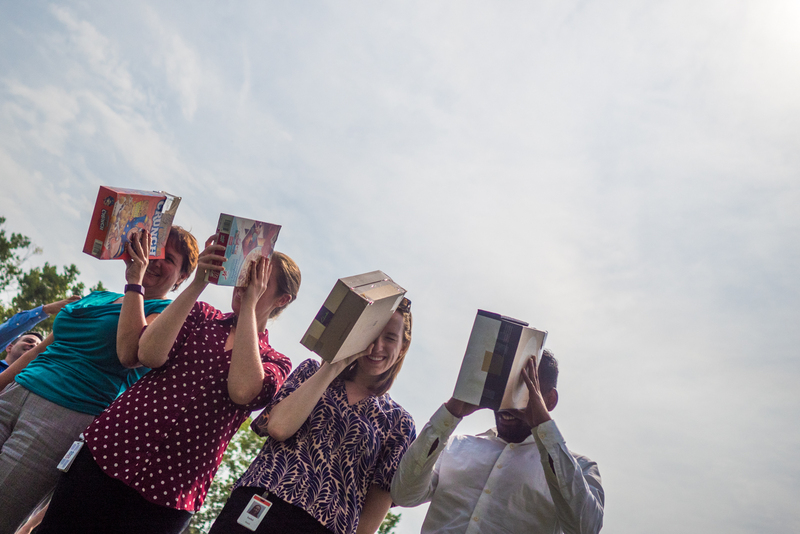 Instead, I opted to photograph some co-workers at an impromptu eclipse viewing session outside the office. 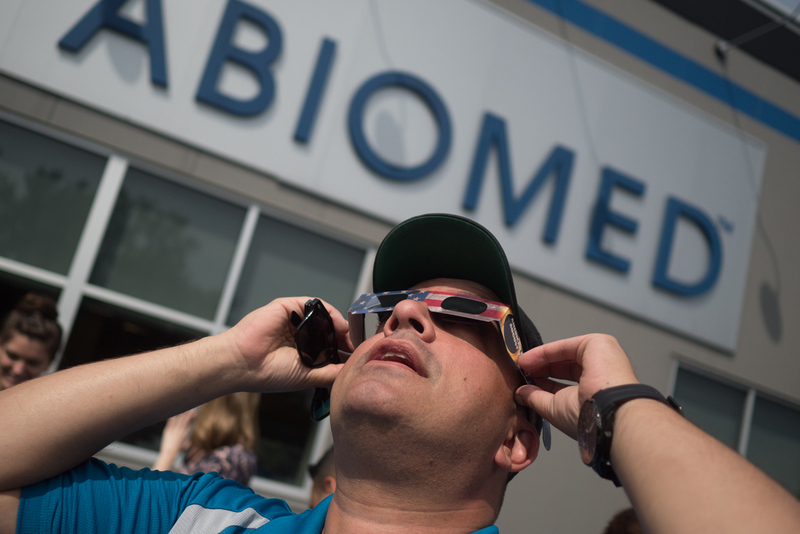 Armed with viewing devices ranging from NASA approved glasses, to cardboard boxes, to home made pinhole viewers, to cell phones (apparently you could so something with a selfie), about 20 people gathered outside the main entrance. 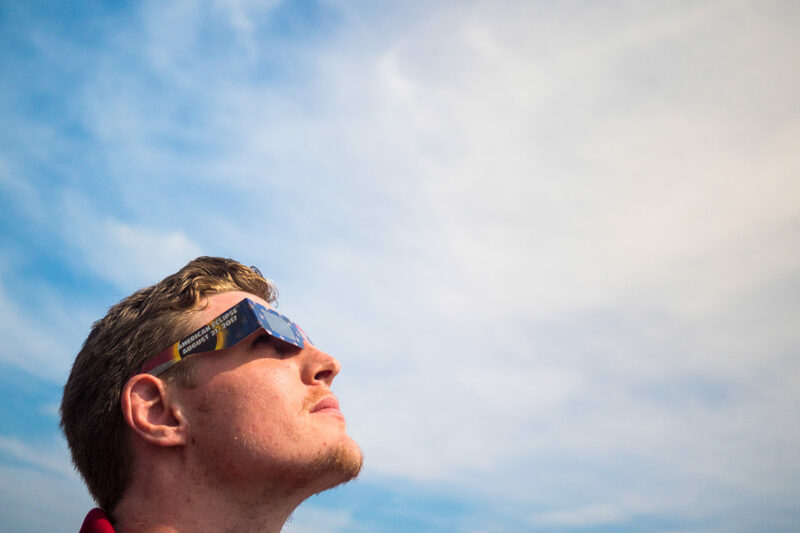 For about 15 minutes everyone shared their viewing devices, gazing in awe at this rare, but not so rare event (turns out, parts of New England will be in the path of totality for an eclipse in seven years). The most popular were the NASA approved glasses (above). No surprise there. A couple more of the fun below.